Leading information technology and cybersecurity consulting firm Lockstep Technology Group has announced a formal expansion of operations into the Carolinas with the opening of an office in Charlotte, NC. With capital investment and backing by Renovus Capital, the technology firm is strategically investing in sales and engineering talent to bring their trademark “customer-as-a-partner” approach to new clients throughout the Carolinas. “Information Technology is integral to the success of today’s business. Clients need trusted partners to help navigate the complexities of today’s IT and to ensure that their systems are secure and continuous. Lockstep has proven time and time again that our clients don’t have to settle for mediocre guidance and support. I’m looking forward to bringing a higher level of IT success to companies in Charlotte and throughout the Carolinas,” said Lockstep VP of Sales Charlie Van Pelt. Lockstep has strong ties to the Carolinas, with dozens of clients in the region including the Carolina Panthers, the College of Charleston, and Anderson University among others. This new expansion will allow Lockstep to give the same level of individualized guidance and service that its hundreds of clients throughout the US have come to depend on. “As a South Carolina resident, I understand the potential for growth that the Carolinas afford. Lockstep has become a trusted partner to our clients across the US over the past 10 years through providing unmatched responsiveness and attention to our clients’ needs and objectives. 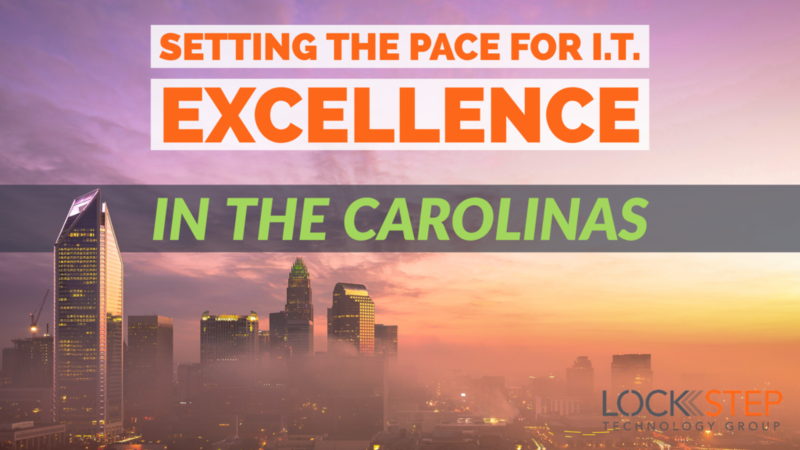 This expansion into the Charlotte area is a logical next step as we build on our success and grow Lockstep into a regional force for IT excellence,” said founding partner Ken Dreon. Celebrating its 10th year in business, Lockstep provides end-to-end technological services, backed by top-tier engineering talent to both small and large enterprises, state and local governments and agencies, and education clients including many school districts, colleges, and universities. The Company specializes in managed IT services, cloud solutions, IT risk management and security, and strategic IT consulting. The Company’s “customer-as-a-partner” approach provides end-to-end solutions, from assessment and design to cloud migration and managed services, to enable their clients to focus on their core business and not the IT landscape. Lockstep has grown to be a trusted advisor in its market through the high caliber of its work, problem solving approach and focus on client satisfaction. More information can be found at https://lockstepgroup.com.